Our product range includes a wide range of talc powder and talc powder for paint industry. We provide an ample array of Talc Powder which is hydrated magnesium silicate with extremely platy and transparent structure. Our Talc Powder is the best selling product due to its softness and strong cleavage. Our Talc Powder is heat and electric resistance. Our Talc Powder does not diminish by the reaction of the acids. The salient feature of our talcum is its insolubility. Soap industry is also the largest consumer of talc and uses 300 to 500 mesh with the range of brightness 80 to 96 %. We offer Talcum Powder For Soap Industry that best suits its needs. Our Talcum Powder For Soap Industry is capable of reducing soap and syndet production costs without diminishing soap performance. Talcum Powder For Soap Industry, offered by us, helps in enhancing soap performance, by producing a creamier lather and softer skin feel. We supply Talcum Powder For Soap Industry that acts as a binding agent that provides hardness to the soap cake. 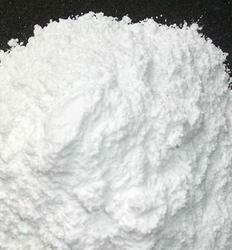 Being odorless, our Talcum Powder For Soap Industry is used in Talcum Powder & High-Grade Soap. It is also used as filler. The quantity of talc in soap varies between 5 to 40% depending on the quality and type of soap. 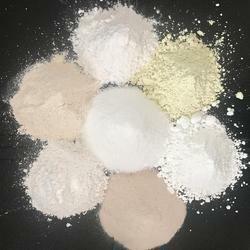 Finely ground Talc is used as the powder base of many cosmetic products. The tiny platelets of a talc powder readily adhere to the skin but can be washed off easily. Talc's softness allows it to be applied and removed without causing skin abrasion. Talc also has the ability to absorb oils and perspiration produced by human skin. The ability of talc to absorb moisture, absorb odor, adhere to the skin, serve as a lubricant, and produce an astringent effect in contact with human skin makes it an important ingredient in many antiperspirants. In 2011, about 7% of the talc consumed in the United States was used to make cosmetics and antiperspirant. Talcum Powder For Plastic Industry, offered by us, is used in polypropylene for automotive parts, household and white goods. They impart a variety of benefits to polypropylene depending on the specific application, for instance, higher stiffness and improved dimensional stability. Our grades of Talcum Powder For Plastic Industry are also used for anti-blocking in polyethylene, as a nucleating agent in semi-crystalline polymers and as a reinforcing filler in food packaging. offer an unrivaled and innovative Talcum Powder For Plastic Industry, that is surface treated, ultra-fine grind and has high aspect ratio grades. All our grade fine milled products are available in compact form for enhanced compounding throughout and dosing accuracy. The Talc Powder For Pharmaceutical Industry, which we provide, is processed to remove impurities like iron oxide, dolomite, carbon, magnesium and carbonate minerals. The pharmaceutical industry requires highly pure, specialized and bacteria free talc for Tablets, Ointments, and Dusting. The Talc Powder For Pharmaceutical Industry, which we offer, has thermal and chemical inertness, thus making it an ideal filler. Talcum Powder for Ceramic Industry acts as the main constituent in cordierites, steatites and earthenware. It is also used as an additive in floor and wall tiles, tableware and sanitary ware. Combined with feldspar to form a eutectic-flux, Talcum Powder For Ceramic Industry reduces the firing temperatures and cycles. 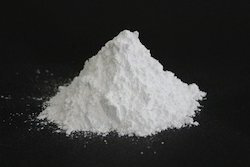 Talcum Powder For Ceramic Industry also stabilizes firing shrinkage. Ceramic Pottery and Ceramic Glazes. Produce matte and opaque glazes. Can reduce crazing in glazes used on earthenware clay bodies. Talc Powder for Paint Industry is widely used in paint and its platy structure, hydrophilic surface and inert chemistry help in the formation of coatings that provide a real moisture barrier. It also promotes a strong, flexible film.